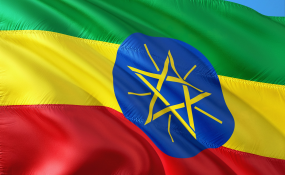 Addis Ababa — Experts are discussing the situation of Ethiopian economy, achievements of the government in boosting the economy and challenges at the two-day dialogue forum organized by the Office of the Prime Minister. "Our policies, strategies or programs are not participatory and do not directly involve stakeholders like farmers. We always try to force them to follow our policies and fail. So I recommend that the government come up with a successful policy that involves farmers", the researcher stressed. "Our policies do not show our real image, we just copy them from others and directly implement them. We need real policy for our real problem," he underscored. "Filling the gap in the export and import sectors by having flexible capital policy is the suggestion I give to the government," Saeid said.